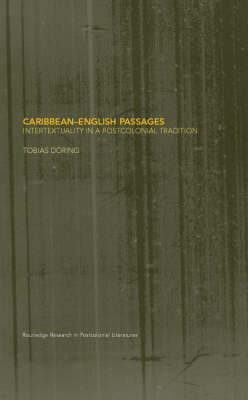 Tobias Doering uses Postcolonialism as a backdrop to examine and question the traditional genres of travel writing, nature poetry, adventure tales, autobiography and the epic, assessing their relevance to, and modification by, the Caribbean experience. Caribbean-English Passages opens an innovative and cross-cultural perspective, in which familiar oppositions of colonial/white versus postcolonial/black writing are deconstructed. English identity is thereby questioned by this colonial contact, and Caribbean-English writing radically redraws the map of world literature. This book is essential reading for students of Postcolonial Literature at both undergraduate and postgraduate level.